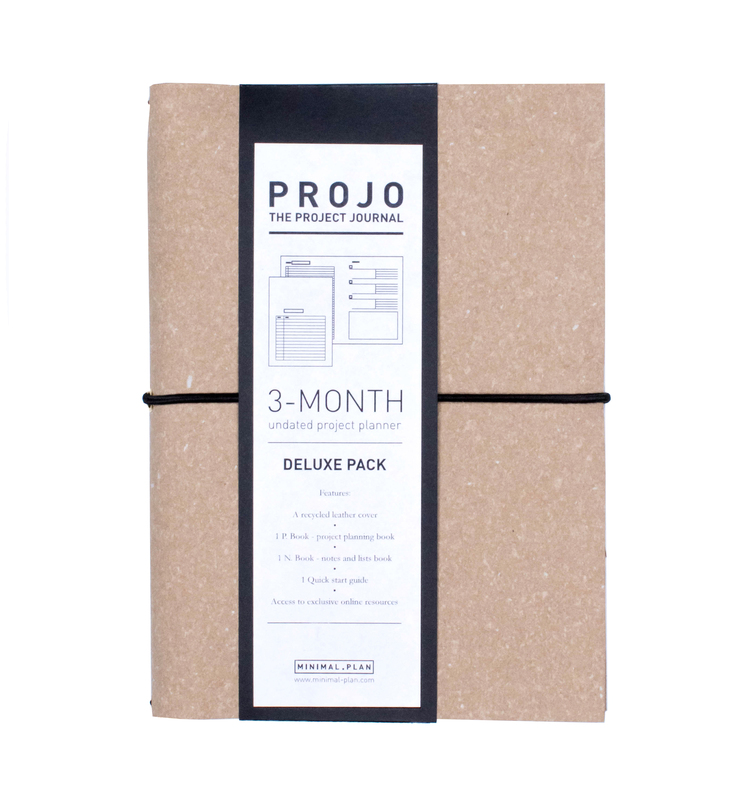 PROJO is a 3-month undated planning tool that helps you plan & organize your projects. It’s 2 distinct notebooks (the P. Book & the N. Book) working together as a whole organizing system, and giving you the right balance between structure and freedom. It’s like having an organization coach in your bag. Project into the future, set life goals and prioritize them with the vision board & goals roadmap spreads. 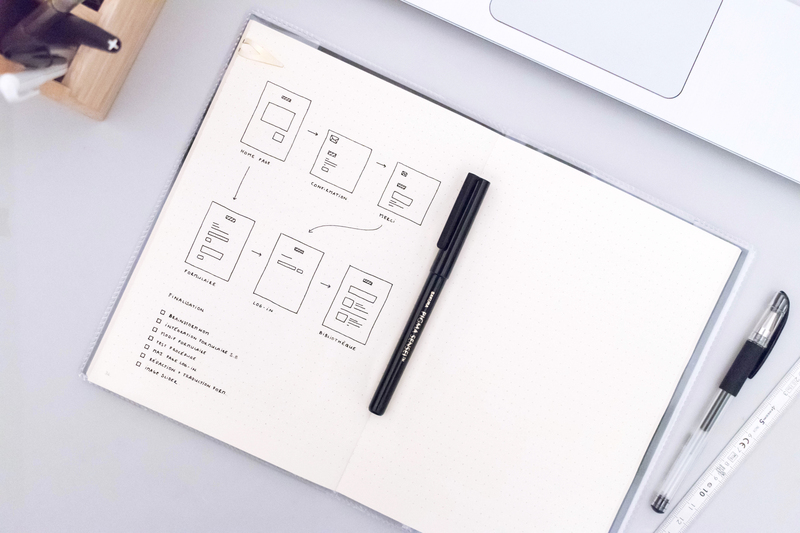 Switch to project mode by creating a master plan for the next 3 months with the projects timeline spread. Use the monthly & weekly dashboards to stay focused and get to work. Monthly review pages allow you to assess your progress. 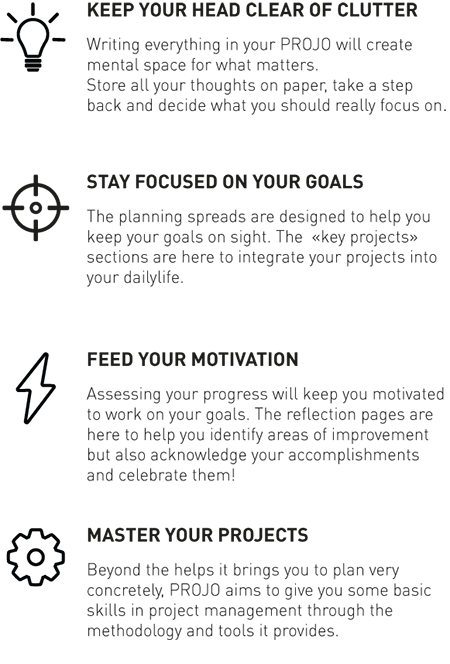 PROJO combines 2 distinct books working together to create a whole planning system. The P. Book (projects book) and the N. Book (notes book) balance structure and freedom. 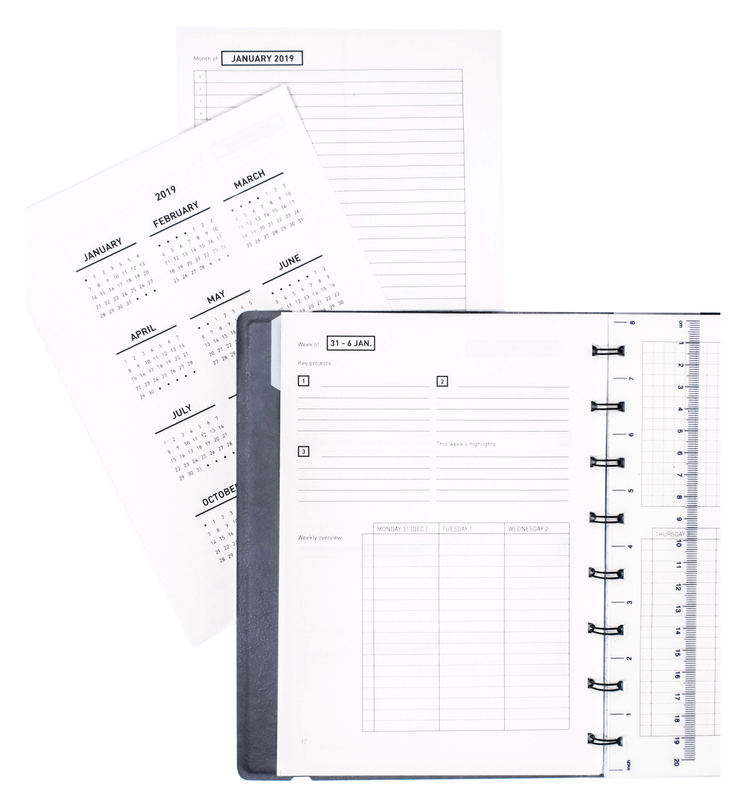 Brainstorm and document your ideas in the N. Book, plan your actions in the P. Book. 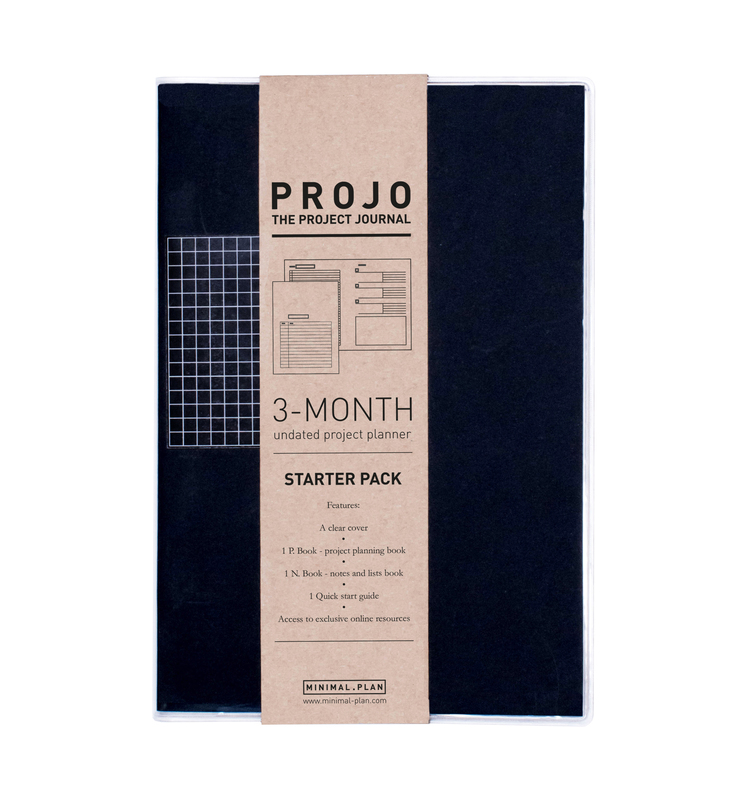 PROJO comes with a quick start guide with everything you need to be off to a great start with your P. Book. 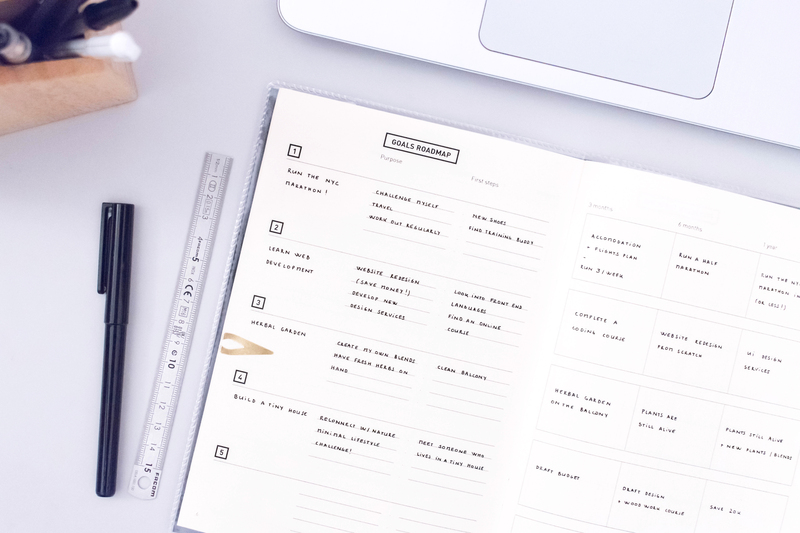 And to take your experience to the next level, I created an exclusive online library featuring printables files and a planning & productivity toolbox to help you stay focused on your mission to conquer the world! HOW WILL PROJO HELP YOU?